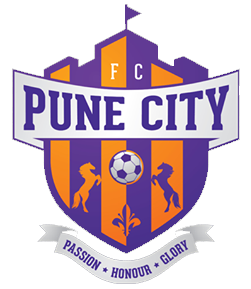 Match ends, Pune City 2, Mumbai City 1. 90+6' Second Half ends, Pune City 2, Mumbai City 1. 90+5' Substitution, Pune City. Lalchhuanmawia Fanai replaces Mohammad Yasir. 90+4' Sanjay Balmuchu (Mumbai City) wins a free kick in the defensive half. 90+4' Foul by Iain Hume (Pune City). 90+3' Offside, Mumbai City. Lucian Goian tries a through ball, but Bipin Singh is caught offside. 90+2' Goal! Pune City 2, Mumbai City 1. Arnold Issoko (Mumbai City) converts the penalty with a right footed shot to the bottom left corner. 90+1' Penalty Mumbai City. Lucian Goian draws a foul in the penalty area. 90+1' Penalty conceded by Sarthak Golui (Pune City) after a foul in the penalty area. 90' Arnold Issoko (Mumbai City) wins a free kick on the right wing. 90' Foul by Robin Singh (Pune City). 90' Substitution, Pune City. Ashutosh Mehta replaces Nikhil Poojari. 89' Corner, Mumbai City. Conceded by Sarthak Golui. 88' Attempt missed. Robin Singh (Pune City) right footed shot from the right side of the box is just a bit too high. Assisted by Iain Hume. 86' Corner, Mumbai City. Conceded by Kamaljit Singh. 86' Attempt saved. Arnold Issoko (Mumbai City) right footed shot from outside the box is saved in the bottom right corner. 85' Milan Singh (Mumbai City) is shown the yellow card for a bad foul. 85' Foul by Milan Singh (Mumbai City). 85' Marko Stankovic (Pune City) wins a free kick in the defensive half. 85' Attempt blocked. Alen Deory (Mumbai City) right footed shot from the centre of the box is blocked. Assisted by Paulo Machado. 84' Goal! Pune City 2, Mumbai City 0. Iain Hume (Pune City) left footed shot from the centre of the box to the top left corner. Assisted by Mohammad Yasir with a cross. 83' Attempt missed. Alen Deory (Mumbai City) header from the centre of the box is high and wide to the left. Assisted by Sanju Pradhan following a corner. 83' Corner, Mumbai City. Conceded by Gurtej Singh. 82' Offside, Pune City. Iain Hume tries a through ball, but Robin Singh is caught offside. 81' Attempt missed. Arnold Issoko (Mumbai City) right footed shot from more than 35 yards misses to the left. 80' Substitution, Mumbai City. Milan Singh replaces Raynier Fernandes. 76' Sarthak Golui (Pune City) is shown the yellow card for a bad foul. 76' Arnold Issoko (Mumbai City) wins a free kick on the right wing. 76' Foul by Sarthak Golui (Pune City). 76' Attempt missed. Iain Hume (Pune City) right footed shot from outside the box is close, but misses to the left. 74' Corner, Mumbai City. Conceded by Gurtej Singh. 73' Rohit Kumar (Pune City) is shown the yellow card for a bad foul. 73' Foul by Rohit Kumar (Pune City). 73' Arnold Issoko (Mumbai City) wins a free kick in the attacking half. 72' Attempt missed. Robin Singh (Pune City) right footed shot from the right side of the six yard box is close, but misses to the right. Assisted by Marko Stankovic with a cross following a corner. 72' Attempt saved. Rohit Kumar (Pune City) right footed shot from outside the box is saved in the top right corner. Assisted by Adil Ahmed Khan. 72' Corner, Pune City. Conceded by Amrinder Singh. 70' Nikhil Poojari (Pune City) wins a free kick in the defensive half. 70' Foul by Sanjay Balmuchu (Mumbai City). 70' Offside, Mumbai City. Sanjay Balmuchu tries a through ball, but Alen Deory is caught offside. 70' Attempt saved. Sanjay Balmuchu (Mumbai City) right footed shot from the left side of the box is saved in the bottom left corner. Assisted by Bipin Singh. 69' Attempt saved. Rohit Kumar (Pune City) header from the centre of the box is saved in the centre of the goal. Assisted by Adil Ahmed Khan. 69' Attempt missed. Adil Ahmed Khan (Pune City) right footed shot from the centre of the box misses to the left. Assisted by Gurtej Singh with a cross. 69' Attempt blocked. Rohit Kumar (Pune City) right footed shot from outside the box is blocked. Assisted by Robin Singh. 67' Substitution, Mumbai City. Sanju Pradhan replaces Rafael Bastos. 66' Sanjay Balmuchu (Mumbai City) wins a free kick in the defensive half. 66' Foul by Robin Singh (Pune City). 65' Foul by Mohammed Rafique (Mumbai City). 65' Mohammad Yasir (Pune City) wins a free kick in the defensive half. 65' Paulo Machado (Mumbai City) wins a free kick in the defensive half. 65' Foul by Iain Hume (Pune City). 63' Attempt missed. Rafael Bastos (Mumbai City) left footed shot from the centre of the box misses to the left. Assisted by Mohammed Rafique with a cross. 63' Paulo Machado (Mumbai City) wins a free kick in the defensive half. 63' Foul by Nikhil Poojari (Pune City). 62' Paulo Machado (Mumbai City) is shown the yellow card for a bad foul. 62' Foul by Paulo Machado (Mumbai City). 62' Rohit Kumar (Pune City) wins a free kick in the attacking half. 60' Lucian Goian (Mumbai City) wins a free kick in the defensive half. 60' Foul by Rohit Kumar (Pune City). 59' Attempt missed. Arnold Issoko (Mumbai City) right footed shot from the centre of the box is too high. Assisted by Alen Deory. 56' Marko Stankovic (Pune City) is shown the yellow card for a bad foul. 55' Foul by Bipin Singh (Mumbai City). 55' Matt Mills (Pune City) wins a free kick in the defensive half. 54' Attempt missed. Robin Singh (Pune City) left footed shot from a difficult angle on the left misses to the right. Assisted by Marko Stankovic. 53' Sanjay Balmuchu (Mumbai City) wins a free kick in the defensive half. 53' Foul by Iain Hume (Pune City). 53' Attempt saved. Adil Ahmed Khan (Pune City) header from the centre of the box is saved in the top left corner. Assisted by Marko Stankovic with a cross. 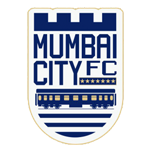 53' Hand ball by Sanjay Balmuchu (Mumbai City). 52' Foul by Raynier Fernandes (Mumbai City). 52' Sarthak Golui (Pune City) wins a free kick in the defensive half. 52' Sanjay Balmuchu (Mumbai City) wins a free kick in the defensive half. 52' Foul by Robin Singh (Pune City). 51' Attempt missed. Lucian Goian (Mumbai City) header from the right side of the six yard box is too high. Assisted by Paulo Machado with a cross following a corner. 51' Corner, Mumbai City. Conceded by Sarthak Golui. 50' Attempt missed. Rohit Kumar (Pune City) right footed shot from the left side of the box is high and wide to the right. Assisted by Gurtej Singh following a corner. 50' Corner, Pune City. Conceded by Anwar Ali. 49' Corner, Pune City. Conceded by Sanjay Balmuchu. 49' Offside, Mumbai City. Mohammed Rafique tries a through ball, but Alen Deory is caught offside. 47' Sanjay Balmuchu (Mumbai City) wins a free kick on the left wing. 47' Foul by Robin Singh (Pune City). 46' Corner, Mumbai City. Conceded by Kamaljit Singh. 46' Attempt saved. Bipin Singh (Mumbai City) left footed shot from the left side of the box is saved in the bottom right corner. Assisted by Alen Deory. Second Half begins Pune City 1, Mumbai City 0. 45' Substitution, Mumbai City. Bipin Singh replaces Pranjal Bhumij. 45+3' First Half ends, Pune City 1, Mumbai City 0. 45+1' Attempt blocked. Mohammad Yasir (Pune City) left footed shot from outside the box is blocked. Assisted by Iain Hume. 45' Attempt missed. Gurtej Singh (Pune City) header from the centre of the box misses to the right. Assisted by Robin Singh with a headed pass. 45' Corner, Pune City. Conceded by Amrinder Singh. 45' Attempt saved. Robin Singh (Pune City) header from the centre of the box is saved in the bottom right corner. Assisted by Sarthak Golui with a cross. 44' Rohit Kumar (Pune City) wins a free kick in the defensive half. 44' Foul by Pranjal Bhumij (Mumbai City). 43' Gurtej Singh (Pune City) is shown the yellow card for a bad foul. 43' Foul by Gurtej Singh (Pune City). 43' Sanjay Balmuchu (Mumbai City) wins a free kick in the defensive half. 42' Attempt missed. Iain Hume (Pune City) right footed shot from the right side of the six yard box misses to the right. Assisted by Robin Singh with a headed pass. 41' Iain Hume (Pune City) wins a free kick in the attacking half. 41' Foul by Mohammed Rafique (Mumbai City). 40' Corner, Mumbai City. Conceded by Gurtej Singh. 39' Corner, Mumbai City. Conceded by Gurtej Singh. 39' Attempt saved. Rafael Bastos (Mumbai City) right footed shot from outside the box is saved in the bottom left corner. Assisted by Paulo Machado. 36' Adil Ahmed Khan (Pune City) is shown the yellow card for a bad foul. 36' Foul by Adil Ahmed Khan (Pune City). 36' Lucian Goian (Mumbai City) wins a free kick in the defensive half. 35' Foul by Iain Hume (Pune City). 35' Amrinder Singh (Mumbai City) wins a free kick in the defensive half. 34' Matt Mills (Pune City) wins a free kick in the defensive half. 34' Foul by Alen Deory (Mumbai City). 34' Foul by Mohammad Yasir (Pune City). 34' Mohammed Rafique (Mumbai City) wins a free kick in the defensive half. 32' Corner, Mumbai City. Conceded by Matt Mills. 31' Attempt missed. Arnold Issoko (Mumbai City) right footed shot from the right side of the box misses to the left. 30' Delay in match Kamaljit Singh (Pune City) because of an injury. 28' Attempt missed. Pranjal Bhumij (Mumbai City) right footed shot from outside the box misses to the right. Assisted by Sanjay Balmuchu. 27' Attempt missed. 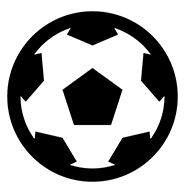 Marko Stankovic (Pune City) left footed shot from outside the box is high and wide to the left. Assisted by Mohammad Yasir. 26' Offside, Pune City. Marko Stankovic tries a through ball, but Robin Singh is caught offside. 25' Gurtej Singh (Pune City) wins a free kick in the defensive half. 25' Foul by Alen Deory (Mumbai City). 22' Attempt saved. Arnold Issoko (Mumbai City) right footed shot from outside the box is saved in the bottom right corner. Assisted by Rafael Bastos. 21' Foul by Robin Singh (Pune City). 21' Rafael Bastos (Mumbai City) wins a free kick in the defensive half. 18' Goal! Pune City 1, Mumbai City 0. Adil Ahmed Khan (Pune City) right footed shot from the centre of the box to the top left corner. Assisted by Robin Singh. 15' Attempt missed. Paulo Machado (Mumbai City) right footed shot from outside the box misses to the left. Assisted by Rafael Bastos. 14' Foul by Iain Hume (Pune City). 14' Anwar Ali (Mumbai City) wins a free kick in the defensive half. 12' Mohammad Yasir (Pune City) wins a free kick in the defensive half. 12' Foul by Mohammed Rafique (Mumbai City). 12' Gurtej Singh (Pune City) wins a free kick in the defensive half. 12' Foul by Lucian Goian (Mumbai City). 11' Corner, Mumbai City. Conceded by Sarthak Golui. 11' Attempt blocked. Arnold Issoko (Mumbai City) right footed shot from the right side of the box is blocked. Assisted by Rafael Bastos. 9' Foul by Mohammad Yasir (Pune City). 9' Anwar Ali (Mumbai City) wins a free kick in the defensive half. 8' Paulo Machado (Mumbai City) hits the bar with a right footed shot from outside the box from a direct free kick. 6' Matt Mills (Pune City) is shown the yellow card for a bad foul. 6' Foul by Matt Mills (Pune City). 6' Arnold Issoko (Mumbai City) wins a free kick in the attacking half. 5' Corner, Mumbai City. Conceded by Kamaljit Singh.